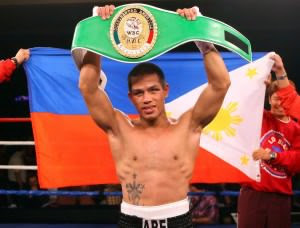 Former world title challenger Bernabe Conception will face Juma Fundi of Tanzania for the vacant WBO Oriental super bantamweight title on July 31, 2015 at Cuneta Astrodome, Pasay City, Metro Manila. Bernabe Conception is a 27 year old boxer from Virac, Catanduanes, Philippines. He has a record of 33 wins including 19 wins by way of KO and has only 2 defeats. He tried to win the world title 2 times but he failed. Bernabe fought big names in boxing including Mickey Garcia, Juan Manuel Lopez and Steve Luevano. He won his last fight against Rasmanudin via 2nd round TKO. Juma Fundi is a 28 year old boxer from Dar-Es-Salaam, Tanzania. He has a good record of 27 wins including 11 wins by KO and has only 12 defeats. Fundi last seen winning the fight against Bakari Magona via UD.